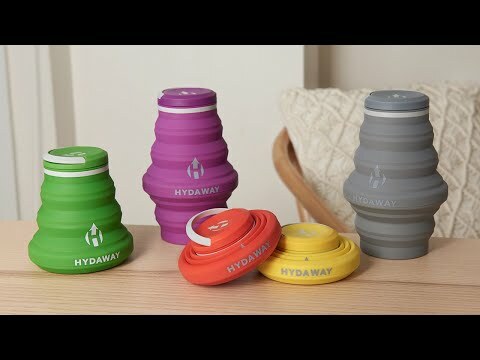 Hydaway is a collapsible water bottle that folds down to just over an inch high. Put it in your purse or backpack pocket—no more carrying a bulky, empty bottle all day long. 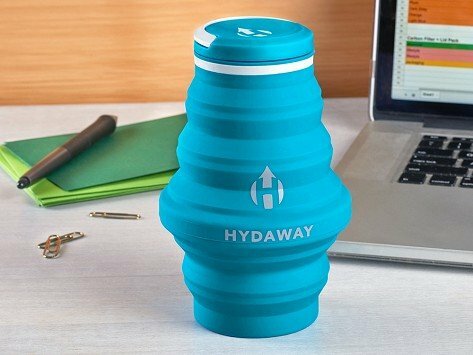 And the durable silicone won’t add any unwanted taste to your drink. Fluid Capacity: 18 fl. oz.